- Access live, real-time prices to trade major, minor and exotic instruments on the world’s top financial CFD, forex, and precious metals markets. 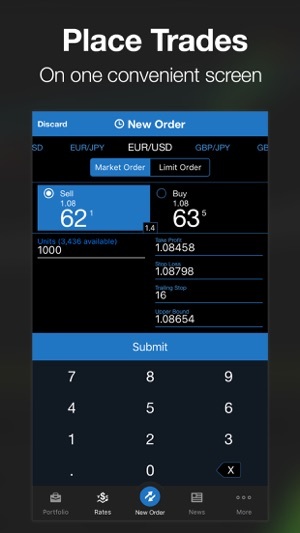 - Trade flexible lot sizes with tight spreads supporting multiple sub-accounts. No added commissions, minimum deposit, or minimum trade size. - No dealing desk intervention, or algorithmic software designed to push trades to the broker’s favour. 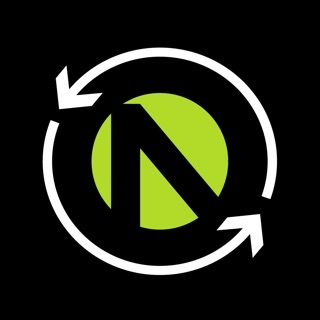 - Multilingual 24/5 customer support during market hours. 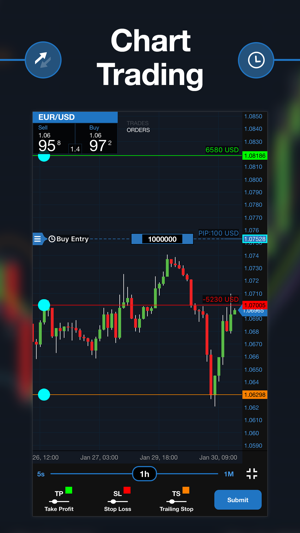 - Trade faster, easier, and more efficiently from a single view placing orders directly on the chart. 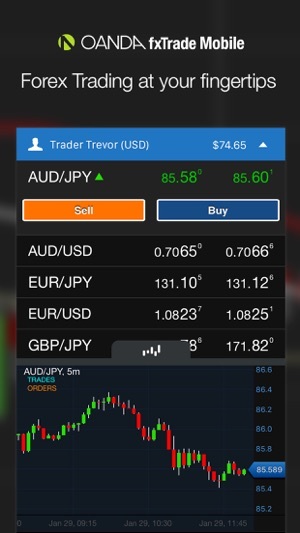 - Manage trading opportunities and your risk exposure on the go by buying, selling, and editing orders through simple taps. 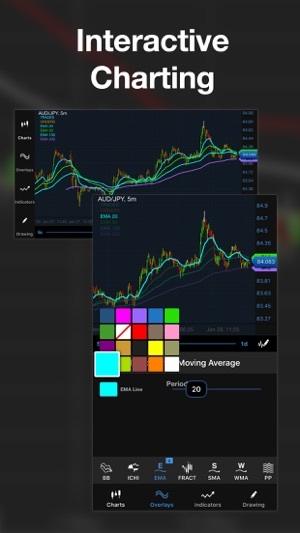 - Access more than 50 technical tools, including 32 overlay indicators, 11 drawing tools, and 9 charts to easily edit your take profit, stop loss and trailing stop orders. - Manage positions, control risk, and monitor account profitability in one touch to react to market activity in real-time wherever you are. 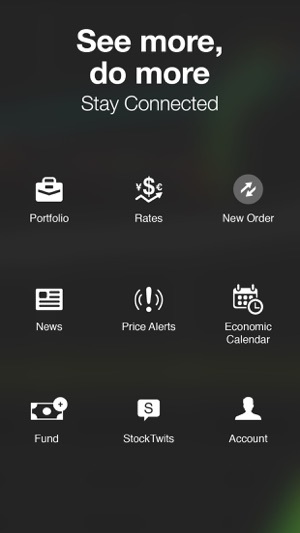 - Access automated custom notifications on price alerts, order expiry, upcoming economic calendar events, and global market news from leading providers. - Customize chart sizes tailored to your trading style to set up the number of prefered units traded, risk and profitability levels. * Contracts for Difference (CFDs) or Precious Metals are NOT available to residents of the United States. ** Funding options vary by region. Leverage trading is high risk and not suitable for all. You could lose all of your deposited funds. Examples shown are for illustrative purposes only and may not reflect current prices of offers from OANDA. - Now you can search for instruments in the rates list. - Instruments are now organized by type, making it easier to find your favorite pairs and add them to your favorites list. It is difficult to get ahead of the game, but the challenge is so much fun. © 2010 - 2019 OANDA Corp.